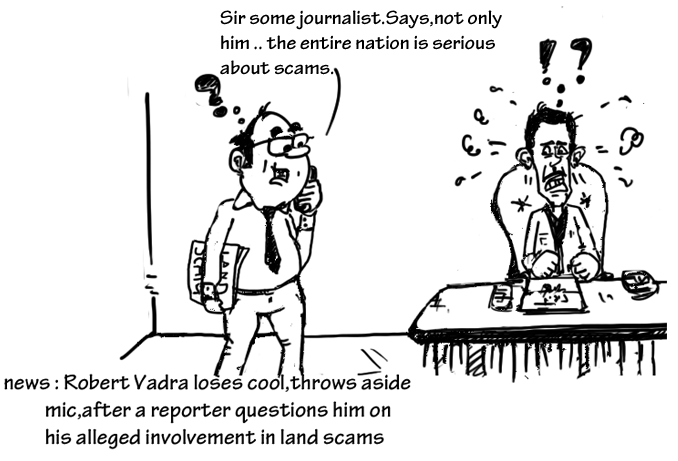 Angry Vadra asks reporter-Are you serious? Robert Vadra, son-in-law of Sonia Gandhi lost his cool at an event in Delhi where a reporter questioned him about his alleged involvement in Haryana’s Land Scam. Angry Vadra threw aside the mic and kept asking the reporter “Are you serious?” “Are you nuts?”. He also asked his guards to get the video deleted. The reporter managed to save the video where Vadra is captured behaving aggressively with reporter.